We tend to develop a rounded face, as we grow old and all we want is weight reduction. It becomes difficult to retain that slim face and sharp face we had as a teenager. Well, for a permanent solution, you may have to get under the knives. However, for temporary pleasures, there is always a virtual makeover photo retouching service. The PinkMirror portrait retouch is amazing. 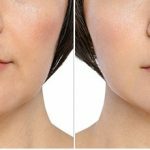 We offer a face slimming retouching online makeover service that can reduce extra areas on the cheeks, straighten the nose and do other essential editing. These things can actually change the size and the outline of facial features. 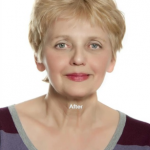 What Can the Slim Face Portrait Retouch Online Makeover Do for You? In this photo of an almost pretty lady, she have a square-shaped jaw. 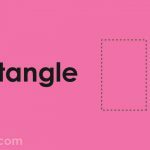 Square jaw signifies masculinity and thus it better suits a man rather than a woman. 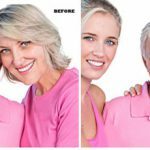 The PinkMirror Portrait Retouch online makeover service suggests reducing the size of the jaw, which will help to improve her feminine look and give a weight reduction look as well. 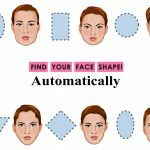 The virtual makeover face slimming feature helps you to alter the proportions of the face that you want to enhance by trimmed look. Reducing the excess area on cheeks will make the face slimmer, better and sharper. The slimming of face makes your face look cute. When it comes to faces, slimmer is better. Sometimes, just hiding the marks and scars on the skin with the portrait retouch service is not enough. Actually, you will never be completely satisfied if your face appears rounder, even if it is spotless. The impact will drastically change when you slim down the face bringing it to look like weight reduction. You will definitely look sharper and then your spotless skin will enhance your beauty in a big way. This type of virtual makeover editing will give you the same editing power that magazine editors have been using for years. This pretty woman has larger built than a normal woman. 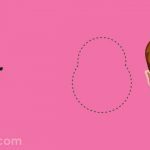 The excess fat causes uneven face shape when the face is tilted to any side. 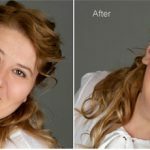 Considering the fact that a symmetric face is more attractive, the PinkMirror online makeover service suggests to remove the excess flab that spoils the virtual makeover photo, which is a very good portrait otherwise. So, why compromise with your emotions with those average looking photographs? Just make yourself look perfect with one of the best face slimming features at PinkMirror and get an online makeover today. 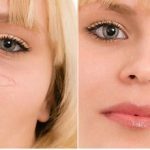 Moreover, you can also increase the impact of your appearance in the photo by also using other tools such as chin lifting, nose shaping, pouting lips, wider eyes and a lot more.